What It Is: Our "secret of the universe" product, Creamy Concealear dramatically improves a woman's appearance by covering darkness under the eyes for a brighter, fresher, more well-rested look. Who It's For: Anyone who wants an instant pick-me-up. Why It's Different: Provides maximum coverage for up to 8 hours without streaking, creasing or changing color. Our creamy concealer formula goes on easily and blends with minimal effort, making the under eye area look smooth and virtually lineless. Bonus: It's waterproof, sweat- and humidity-resistant (without ever being thick). How To Use: Using the Concealer Brush (sold separately), apply Creamy Concealer as close as possible to the lash line, and also on the innermost corner of the eye. Gently blend with your fingers. This concealer is great. The coverage it gives is perfect for what I need ( small spots and dark eyes) and I love how compact and easy to use it is. When I apply this concealer over a little eye moisturizer, I am very satisfied with the smoothness of how it goes on and the quality of how it stays on. Covers my dark circles and brightens. The look and feel are all very natural in my experience. great concealer to use on the go. gives good coverage and feels hydrating under the eyes. does not crease. This creamy concealer is not my favorite. I feel it can get cakey if you use too much, but has good coverage. It applies so nicely and has a lightweight feel, but it starts breaking apart almost immediately on my face. i love the packaging on this product! 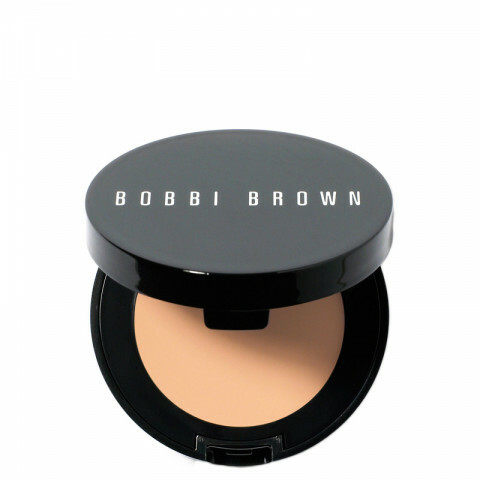 it is so small and fits really well into a small handbag to touch up on the go. great concealer with nice staying power.